In 1976, Stan Shih found his industrial startup Multitech with his wife Carolyn Yeh and a group of five contributors. In 1987, his group is renamed Acer Incorporated. Acer is a Taiwanese computer manufacturer specialized in manufacturing and marketing of computers, monitors and other computer peripherals. They develop directly or indirectly the most of the pieces they incorporate to their products. Acer began its activities in Formula One in 2000 as sponsor of BAR-Honda Team. 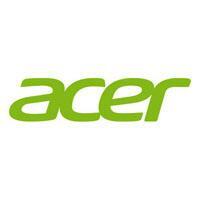 Since 2003, Acer is financial and technic partner of Scuderia Ferrari. Since 2007, the computer manufacturer is also provider of Barcelona FC and today sponsors 'Girondins de Bordeaux'. On March 2008, Acer announced the acquisition of Taiwanese industrial company E-TEN specialized in mobile phones like smartphone. The same year in Munich, Acer announce is new range of desk computers for players named Predator. Thus, with this range, Acer competes directly Alienware. End of 2009, Acer launches a first Android phone, the Acer Liquid. Succes is on go and tests are positive. Acer decides to strengthen its range with Acer Stream and Acer betouch maintaining the rhythm of releases under Windows Mobile. Acer applies a multi-brand strategy: Packard Bell aimed the general public, eMachines the general public at first price, Gateway aimed huge dimension firms. Acer is the fourth global manufacturer of PC by units sells (after HP, Lenovo and Dell).